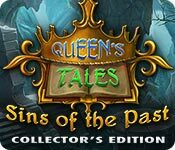 Queen's Tales: Sins of the Past Collector's Edition is rated 4.1 out of 5 by 49. Rated 5 out of 5 by anubisnut from I'm loving the romance and magic in this story (Based on whole game) The game play is pretty straight forward, there isn't lots of jumping around from scene to scene (thank heavens because my finger and hands get tired). The story line is quite good, you'll need to actually play the whole game for the title to fully make sense. Don't base the game title on the demo version. The puzzles are a little different from other games. The voice overs and cut scenes need a little work, but I don't mind it. The graphics are good. And the best part is the story. I'm totally going to get the next Queen's Tales that comes out. Rated 5 out of 5 by tutortime from Excellent Game! Great story line, very long game, extra objects to find; cards and chess pieces and the cc edition was worth the money. All new scenes and story line. Rated 5 out of 5 by 1newgrammy from Loved everything about this game, better than the 1st in the series I don't write alot of review's, other people go into so much detail. I have to with this game, everything was great with this one. The graphic's were beautiful, bright, crisp and clear. The VO'S were lip synched nicely, voices went with the character's well. Music was spot on, taking you with the scene and what was happening. The HOS'S were varied, but you did play some scence's twice. The puzzle's were great, lots of variety, ranging from pretty simple to much more complicated, I was able to do 95% of them, which is high for me. The extra's, include a really different type of match 3 game, to access you must find all the chess piece's, they were pretty cleverly hidden. You also get a card game when you find all the tarot card's, and then finding all the puzzle piece's get's you 8 jigsaw's. Some might find this game to easy, but for a nice relaxing and visually gorgeous game, I highly recondmend this game. Rated 5 out of 5 by DaisyDai from game is not very interesting but i love that romance i suggest that ers games should focus on love story after that?because your game setting is really boring now?you don‘t care about visual quality like one year before?after two doves you ers just like to be close down? the only one highlight in this game is just this romance? Rated 5 out of 5 by SafetyDeb from Finally a Gorgeous Game I'm so sick of the dark game/dark scenes! I like to SEE my games and I appreciate good art - finally this is a game with beautiful fantasy scenery even tho the story is serious and this was carried thru the whole game. It has a bonus chapter, wallpaper that moves and screen savers that are both lovely and freaky - straight from the story of course. I liked the puzzles, achievements and the rewards. I played without using the hint button which lets you win all the achievements. Its not all about HO, and has a great pace. The music is good -not irritating and it matches its scenery and the story theme. It has a great map that lets you move from place to place. 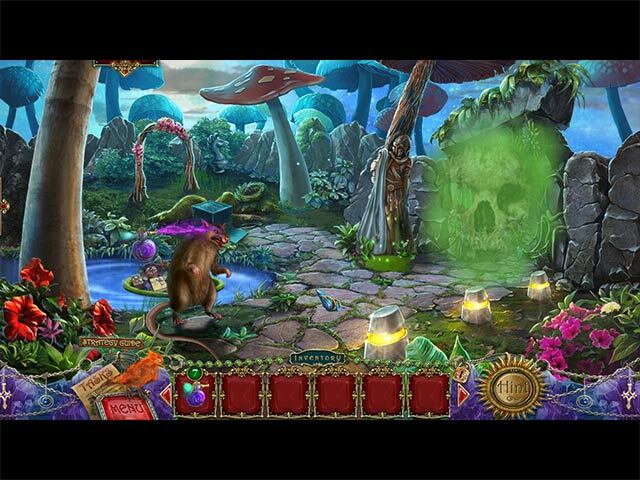 Its the continuation of the "Queens Tales: Beast & Nightingale". I highly recommend this game! Rated 5 out of 5 by gyanda from Loved this one!!! Ah, dear ERS... what a wonderful game you built. Storyline is absolutely believable and has such a nice moral to it. The graphics - as always - are soooooooooooo nice, even more nice than usually with ERS - the figures of the game i really loved like the little dwarf with the fluit on his had or the wise druid. I liked the HO-scenes, which did vary from just finding things or seeing only the shadow. Most minigames were interesting - i do love the untangling very much - i feel really content with this game. Voiceacting with the mouth was nice, voices were appropriate, there is really nothing i would complain about. I am very happy that the developers improved so much and am looking forward for other games of them. Rated 5 out of 5 by pennmom36 from The King Sure Does Have Enemies! The Queen has one more story to tell us, this is the story about Grandmother Eleanor, and how she saved her father the King. Eleanor is a very resourceful and capable Princess who soon learns that her father has many enemies, one of which has imprisoned her father in a portal leading to a strange and dangerous world. The Princess won't have to fight this battle alone, a Druid will guide her through the spirits, but can he be trusted? No Princess is complete without a sidekick, which happens to be a majestic Phoenix, who can break mystical barriers with the drop of a single fiery feather! Eventually she will find the recipe for a shrinking potion, but there is only enough potion for 8 uses, and you will be asked to confirm your choice when using this magical spritzer. (what happens if I use it unwisely?) Some of the inventory items have a magnifying glass above them indicating the need for further action before using them such as combining that item with another inventory item or repairing the item first. There are plenty of Achievements to earn, and there is an pulldown tab for easy access. There are hidden Chess pieces located throughout this royal adventure, and each piece gives you a tidbit of royally interesting factoids about it's origin, which I absolutely loved. When all of the Chess pieces have been found, it unlocks a game of Match 3. There are 12 hidden Fortune Telling Cards that will allow you to play a card game when all have been found, to get a prediction, also very cool. 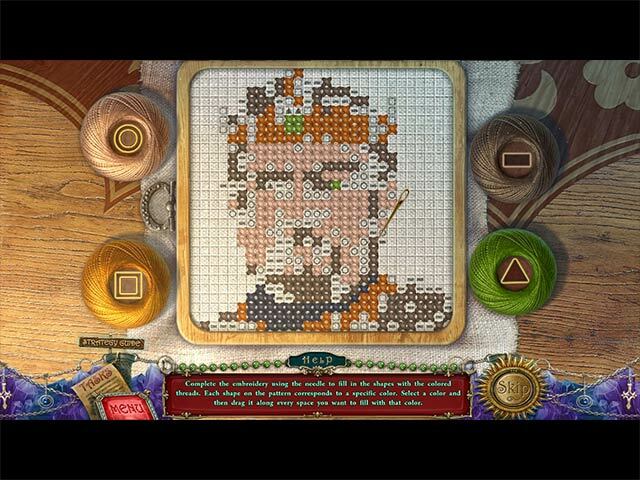 Once you finish the Bonus game, you will unlock jigsaw puzzles of the scenes within the map too. The Hidden Object Scenes were just okay in my book. Most are interactive list finds, but there are also HO's where you open up packages that reveal silhouetted shapes requiring you to place items that match the shapes into the box. 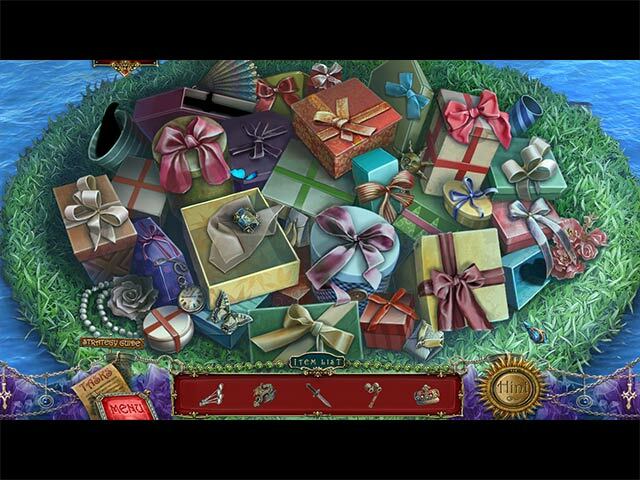 The Hidden Object Scenes are repeated which is a big disappointment to me, it's plain ole boring a second time around. The Mini Games were pretty decent, most are available in a Casual or Hard mode such as selecting two flower petals at a time, to match the symbol in the center, if you select wrong, the petals move to a different location. This Collectors Edition has Collectible Chess Pieces, Hidden Fortune Telling Cards, Achievements, Wallpapers, Concept Art, Screensavers, Movies, Music, replayable Mini Games and Hidden Object Scenes, Match 3 Games, Map Jigsaw Puzzles, Fortune Card Game, a built in Strategy Guide and a Bonus Chapter, enjoy! Rated 5 out of 5 by coucou12 from Cute fairy taile game Cute game, nice graphics, but what's the deal with the disgusting spiders? Really annoying when they are in the games. Also the game's map needed more work.